Hi, everyone! 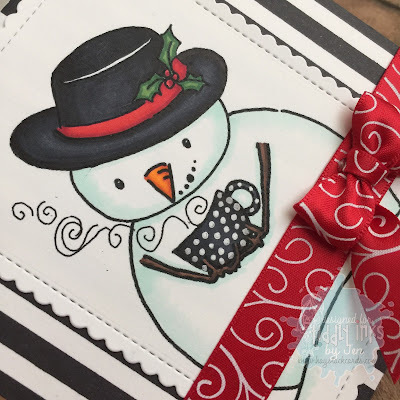 Today is Fabby Friday over on the Tiddly Inks Challenge Blog and my card features the Snowy Wishes and Snowman digital stamp. 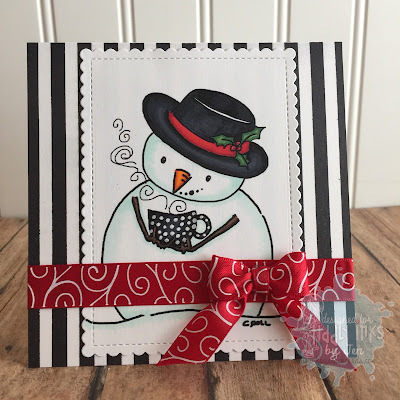 I started off by stamping the thick stripes background stamp onto a white card base with black dye ink. The image was die cut using my scalloped stitched rectangles and secured to the card base with 1-inch double-sided tape. 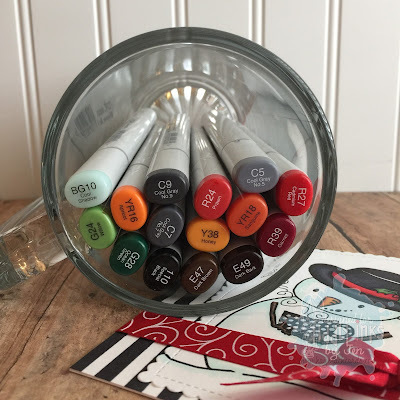 The snowman is colored with Copics and I added dots to the mug with a white gel pen. To finish off the card, I added a red satin ribbon and bow using 1/4-inch double-sided tape and a glue gun. 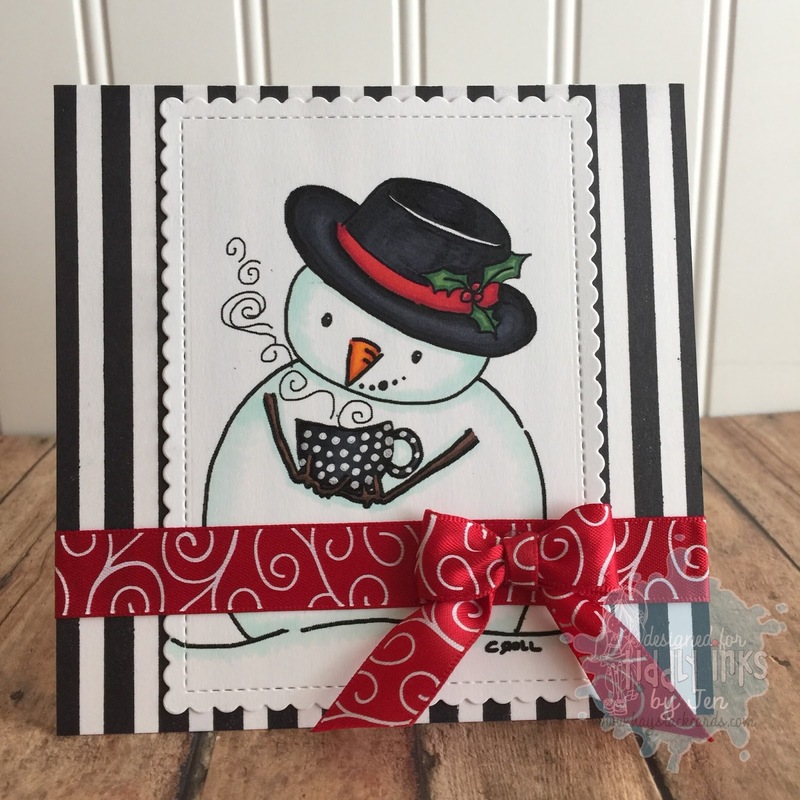 Remember, you can see more projects created from the design team on the Tiddly Inks Challenge Blog. It's time to get crafty this weekend! Thanks for stopping by! !